21 Idioms Which Literally Make No Sense When Translated #infographic ~ Visualistan '+g+"
Idioms are probably the biggest quirk in any language, and every language has them. But when translated into English, some foreign idioms are confusing, if not downright hilarious. 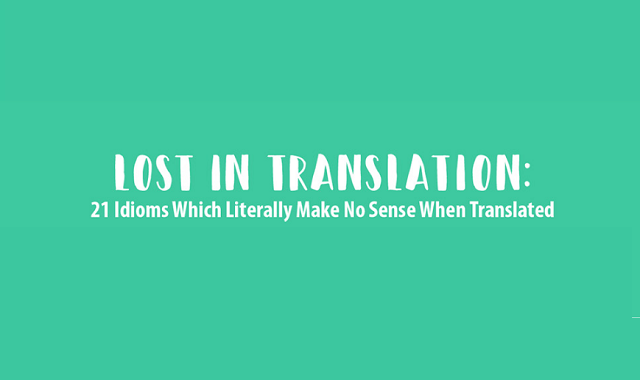 Here, we’re bringing you 21 idioms which literally make no sense when translated!